Much of the Earth was once cloaked in vast forests, from the subarctic snowforests to the Amazon and Congo basins. As humankind colonised the far corners of our planet, we cleared large areas to harvest wood, make way for farmland, and build towns and cities. The loss of forest has wrought dramatic consequences for biodiversity and is the primary driver of the global extinction crisis. I work in Borneo where huge expanses of tropical forest are cleared to make way for palm oil plantations. 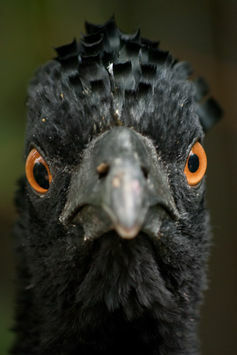 The biological cost is the replacement of some 150 forest bird species with a few tens of farmland species. But forest is also frequently retained inside or at the edges of oil palm plantations, and this is a pattern that is replicated globally. 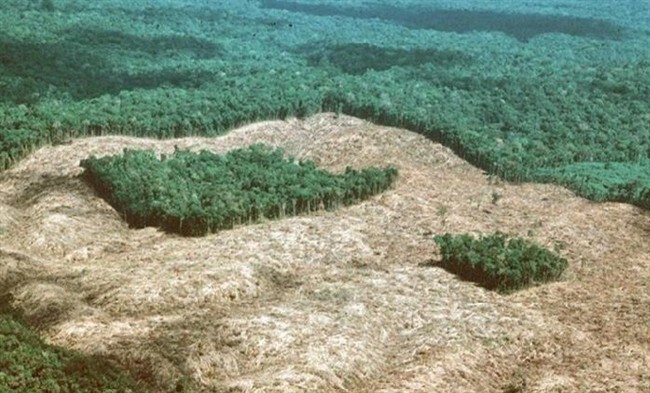 The problem, according to new research published in Science Advances, is that the vast majority of remaining forests are fragmented. In other words, remaining forests are increasingly isolated from other forests by a sea of transformed lands, and they are found in ever-smaller sized patches. The shockwaves of loss thus extend far beyond the footprint of deforestation. The great outdoors? Only the blue areas are more than 1km from the edge of the forest. 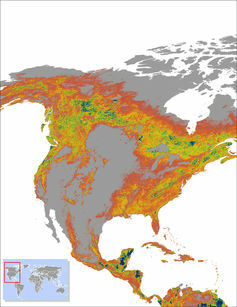 The team, led by Nick Haddad from North Carolina State University, used the world’s first high-resolution satellite map of tree cover to measure how isolated remaining forests are from a non-forest edge. Edges are created by a plethora of deforesting activities, from roads to cattle pastures and oil wells, as well as by rivers. They found that more than 70% of remaining forest is within just 1km (about 0.6 miles) of an edge, while a 100 metre stroll from an edge would enable you to reach 20% of global forests. Comparing across regions, the patterns they find are even starker. In Europe and the US, the vast majority of forest is within 1km of an edge – some of the most “remote” areas in these regions are a stones throw from human activity. “Getting away from it all” has never been more challenging. These findings wouldn’t be cause for alarm if wildlife, forests, and the services that they provide humankind such as carbon storage and water, were unaffected by fragmentation. However, by drawing together scientific evidence from seven long-term fragmentation experiments, Haddad and colleagues show that fragmentation reduces biodiversity by up to 75%. This exacerbates the extinction risk of millions of forest species, many of which we still don’t know much about. 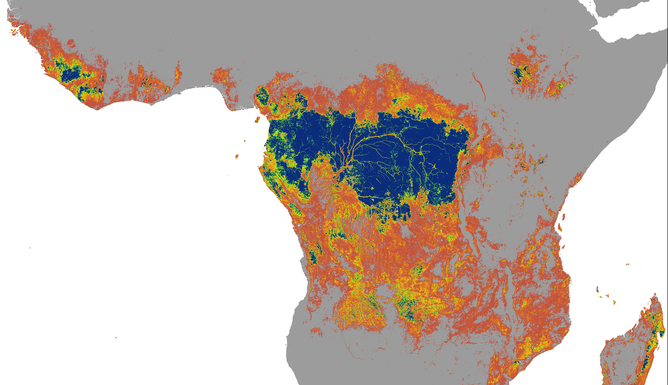 For undisturbed forest, head to Congo’s blue zone. Forest species struggle to survive at edges because these places are brighter, windier, and hotter than forest interiors. Edges become choked by rampant vines and invaded by disturbance-tolerant, parasitic or invasive species that outcompete the denizens of dark forest interiors. In Borneo, for example, small forest patches house bird communities that are far more similar to those found in the surrounding oil palm than to those of larger forest tracts. With so much global forest in close proximity to humans, larger forest animals such as chimpanzees, gorillas, tapirs or curassow birds are being hunted to extinction in individual areas. This shifts animal communities within the forest fragments to one dominated by small-bodied species. Further, hunters are willing to penetrate forests for several kilometres from edges in search of game, effectively making the truly wild global forest estate yet smaller. The insidious effects of fragmentation mean that the top conservation priority must be preventing further incursions into dwindling wildernesses. By preventing the first cut we can help to prevent global fragmentation and the further loss of biodiversity. Of course, we should not ignore fragmented regions. Some of these, including the Brazilian Atlantic forest, Tropical Andes and Himalayas, share a toxic mix of hyperdiversity, endemic species with tiny ranges, and severe fragmentation. The critically-endangered Munchique wood-wren, for instance, exists only in a handful of peaks in the Colombian Andes, but these are now isolated from each other by cattle pastures and roads. Here we must seek to restore forest cover and improve connectivity between larger fragments if we are to prevent extinctions. 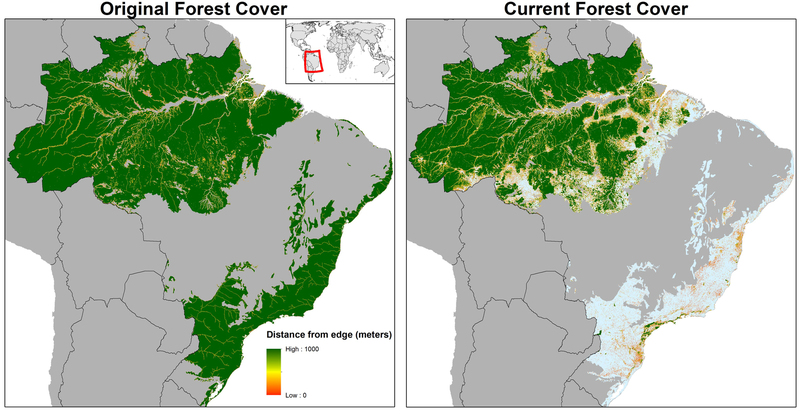 Large patches of the Amazon remain, but Brazil’s Atlantic forest is rarely more than 1km from an edge. However, the rapid expansion of human populations, greed, and meat consumption mean that more forest is likely to be lost, even if farm yield and efficiency can be improved to help bridge gaps between current and future demand. The difficult question is where should this expansion happen? Given the severe degradation of small and isolated fragments, perhaps conversion could target some of these patches, coupled with wilderness protection and expansion. 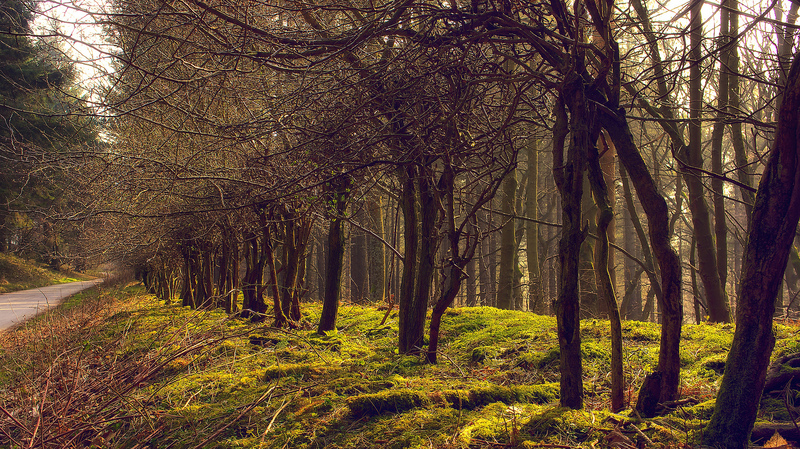 Forest fragmentation in the Peak District. Next time I visit my local National Park – the highly fragmented Peak District – I will spare a thought for the species that are being harmed by their habitats being broken up into ever smaller chunks. There are no easy answers to the problems of fragmentation, but our forests urgently need a global management plan.